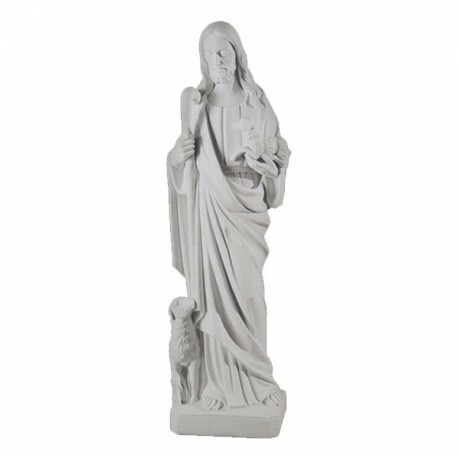 Statue of the Good Shepherd, 108 cm. Statue of the Good Shepherd, 108 cm, of white marble dust, handmade in Italy. 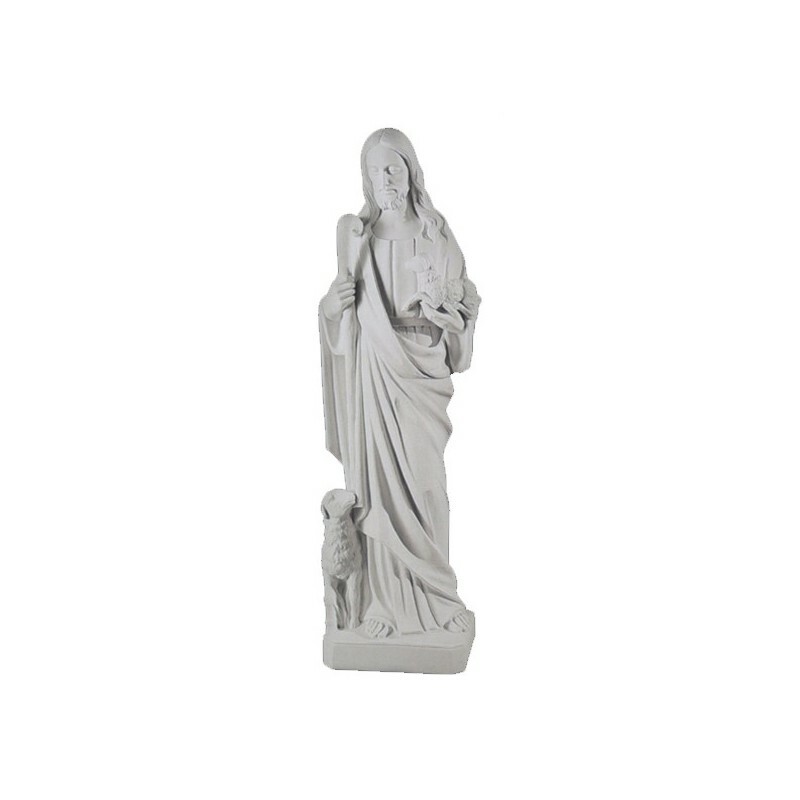 Statue of white marble dust from Carrara, it is mixed with a special binder that gives a great resistance against the atmospheric decay. Dimensions: h108.5x33x20. With a higher price there is also of shiny white or bronzed. The character of the Good Shepherd hails from the 4 Gospels, where the Christ is described as the shepherd who drives and protects his sheeps. He protects the human beings. To have a clearer concept we need to consult the New Testament. There are many Nuns Institutes which are devoted to the veneration of the Good Shepherd. In the classic iconography the Good Shepherd Jesus is illustrated with his sheeps and with a lamb on his shoulders or in his arms.